10th ITER Council held in Washington D.C.
''The US is committed in the project,'' stated Steven Chu, United States Secretary of Energy (right) as the tenth ITER Council began on 20 June in Washington, D.C. Next to Chu: Council Chair Hideyuki Takatsu, speaking; ITER Director-General Osamu Motojima; and, right to left, deputies Rem Haange, Rich Hawryluk and Carlos Alejaldre. 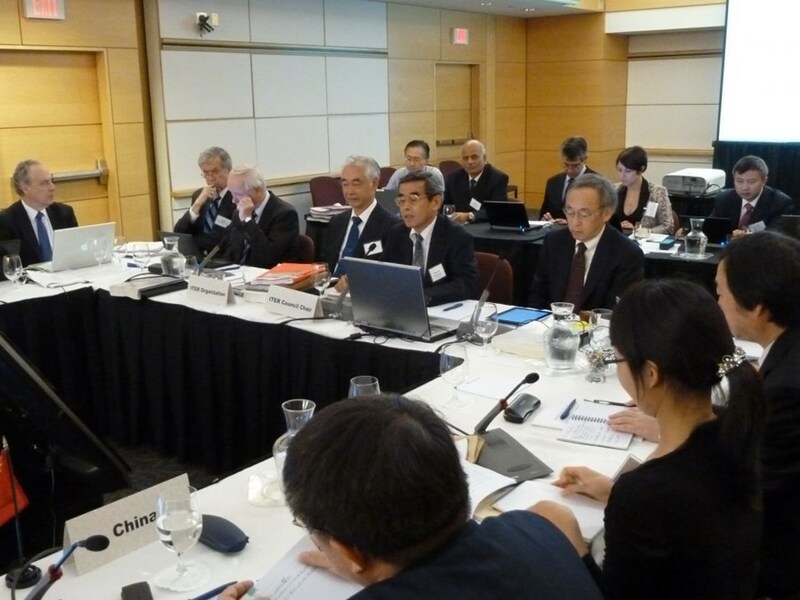 During its tenth meeting held on 20-21 June in Washington D.C., the ITER Council acknowledged a number of positive advancements for the project, noting, in particular, the progress of ITER construction and licensing. The Council stressed that respecting the project schedule within cost remains a critical issue and that reported slippages need rapid correction; it also noted that the ITER Organization and the seven Domestic Agencies are working together on these corrections. Relative to schedule issues, decisions were taken regarding the manufacturing of some major ITER Tokamak components. 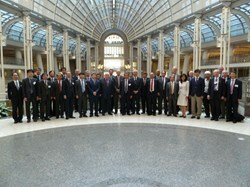 The participants to the tenth ITER Council meeting lined up in the impressive Ronald Reagan Building. This meeting took place in the Ronald Reagan building, which is fitting given the fact that ITER was born out of the shared vision of Secretary General Gorbachev and President Reagan at the Geneva Summit in 1985. 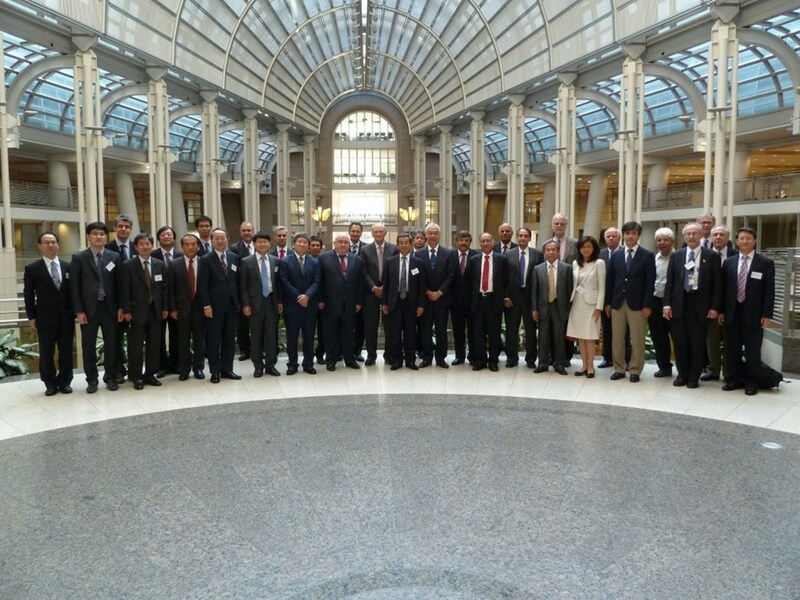 This ITER Council was the first chaired by Hideyuki Takatsu of Japan, who began his term as ITER Council Chair on 1 January 2012. The Director-General Osamu Motojima thanked all ITER Members for their proactive and forward looking contributions and their much appreciated encouragement. The ITER Organization will keep continuing to promote the ITER Project together with its seven Domestic Agencies," Motojima stressed. Read the ITER Council Press Release in English and in French.